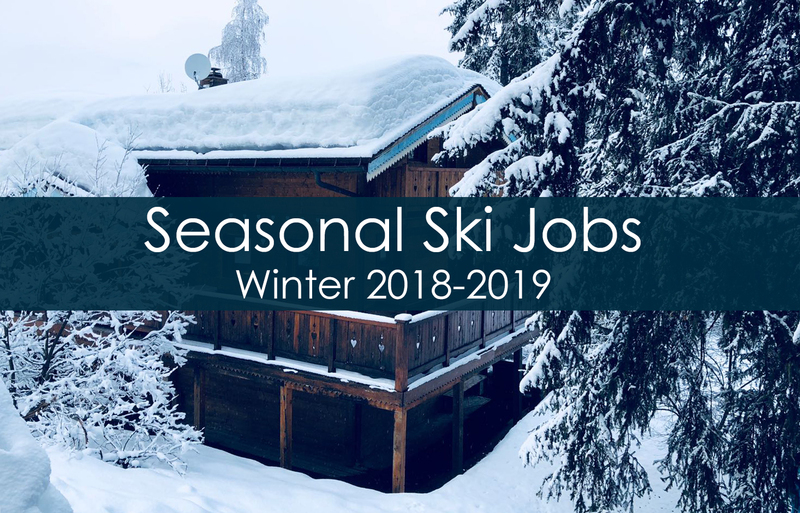 Looking to work a season out in the Alps for the winter of 2018-2019? We are recruiting for the 2018-2019 season - applications are now being accepted for immediate interviews and the process will continue throughout the summer until all vacancies are filled. Ski Amis is an award winning catered chalet company offering ski and snowboard holidays to our 20 chalets in top French resorts of the Three Valleys and Paradiski. We know you are there to ski or snowboard – and we need you to deliver a high job quality for our guests - so we make sure that’s possible for both of us through our intensive training and ongoing support structure. If you think this is a paid holiday in the Alps … think again!!!! It is VERY hard work - especially at the start until you get into your routine but it's rewarding and fun. 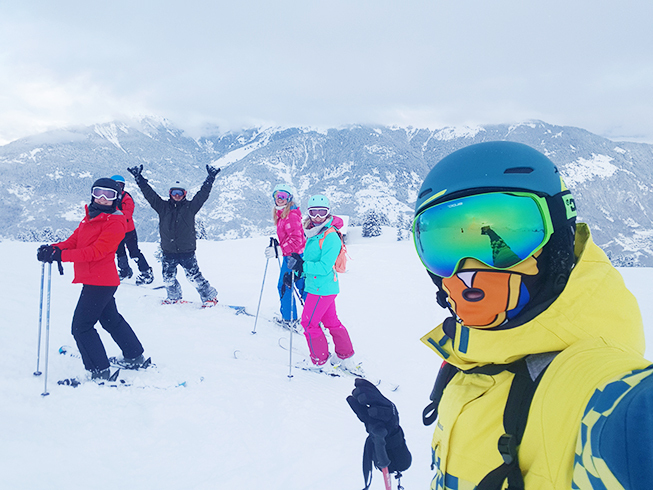 You'll meet some amazing friends for life, both colleagues and clients, and you will spend 5 months living and working in the most fantastic mountain environment with the chance to become an expert skier or snowboarder. You will learn a lot of new skills which we hope will help you in your future and an experience you will never forget. Please note: before starting your application, make sure you are completeing it on a computer rather than your mobile phone. The form is quite large and you may have issues filling in the questions and submitting. Experienced drivers - people with 2 or more years of work related driving experience in some capacity in the last 10 years (which your previous employer is prepared to confirm in a letter) although this does not have to have been the main purpose of your previous job and can be in any vehicle. Alternatively, a driver CPC (from having worked as a coach or truck driver) or a RoSPA advanced driving certificate would automatically qualify you. All interviews will be conducted by telephone with the aim to fly to resort as soon as possible if successful. Join Ski Amis’ great team of Chalet Host’s in the French Alps and perfect your skills on the slopes whilst working a winter season. No experience necessary – all training is provided - you just need to have a great personality, plenty to talk about and a commitment to deliver fantastic customer service to our guests. Spending your winter as a Chalet Host will be one of your best experiences. You meet friends for life, improve on your skiing with plenty of slope time and you’ll take home memories and transferable skills! Personality is key at Ski Amis – you must have the dedication, commitment and social skills to be a wonderful host for your guests. There is also the opportunity to be a Chalet Support Host which will be based in Aime and float between chalets to support when needed rather than being part of a particular chalet team. If you strive on changes of pace and love to lend a hand, this job would be perfect for you! Our season starts with fully paid training prior to the season, this means you must be available to start on 26th November 2018. We also like our staff to complete the full experience of a winter season in the mountains and therefore you need to be able to work up until 30th April 2019. If you are a natural leader, have supervisory experience and looking to head to the Alps for a winter season – then choose Ski Amis. Put your people management and team building skills to use whilst enjoying what the mountains have to offer. We have strong team in resort and we take pride in our staff and the high quality service they provide – we expect you to work hard and be committed to delivering these levels of quality and in return we provide you with all the tools and support you need to make this task as easy as possible, with plenty of piste time and a competitive remuneration package so you can make the most of your season. You MUST be available to work for the full length of the contract - with a start date of 26th November 2018 and an end date of 30th April 2019. If you have a passion for cooking and you are looking to spend the winter in the French Alps – then Ski Amis’ Chalet Christine would be your perfect fit. We are looking for a Chalet Chef to complete our team of four, experience is required but you do not have to be qualified. If you can cook, then we will train you for all you need to know to be a chalet chef. We have strong team in resort and we take pride in our staff and the high quality service they provide – we expect you to work hard and be committed to delivering these levels of quality and in return we provide you with all the tools and support you need to make this task as easy as possible, with plenty of piste time guaranteed and a flexible remuneration package so you can make the most of your season. You will be based in Chalet Christine – our large 28 person chalet in La Tania the Chalet Cook/Chef reports to the Chalet Supervisor and your prime responsibility is for the kitchen and catering for clients. However, you are also expected to be a member of the chalet team and are required to undertake other duties as the workload determines, particularly on “change-over” days and busy periods. If as a couple you want to head to the mountains for a winter season but you strive on changes of pace and can adapt quickly – then the support couple role with Ski Amis is the one for you. No experience necessary – as we train you for all you need to know to do the job - you just need to have a great personality, plenty to talk about and a commitment to deliver fantastic customer service to our guests. We have strong team in resort and we take pride in our staff and the high quality service they provide – we expect you to work hard and be committed to delivering these levels of quality and in return we provide you with all the tools and support you need to make this task as easy as possible, with plenty of piste time and a competitive remuneration package so you can make the most of your season. We are a family business that has been running for 30 years, we have a work hard, play hard culture and everyone is part of the family. Most of our clients are returning guests and you will play a part in growing this list! Spending your winter as a Chalet Support Couple will be one of your best experiences. 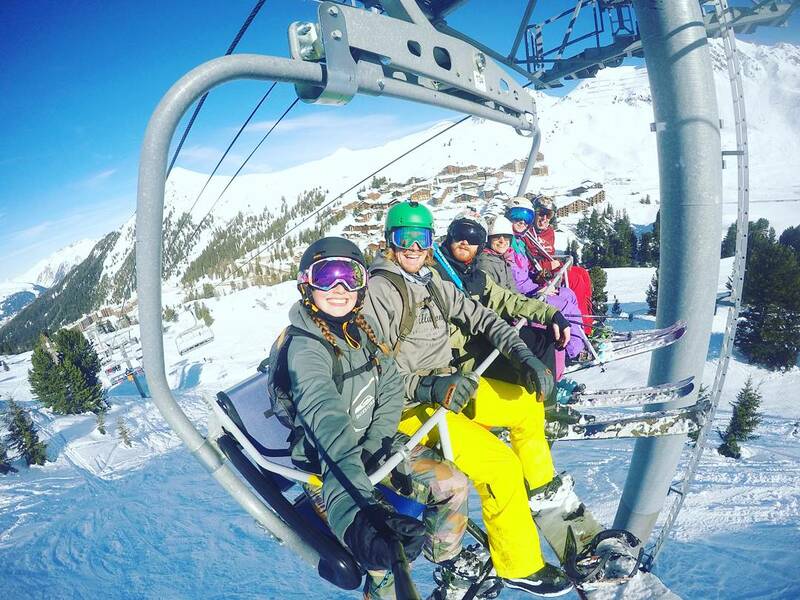 You meet friends for life, improve on your skiing with plenty of slope time and you’ll take home memories and transferable skills! The Chalet Relief Couple will be fully trained hosts and their primary purpose is to provide support in any chalet, often at short notice, in any resort and for whatever reason. This could involve a temporary replacement of a chalet couple due to unplanned staff vacancies or sickness – or it could mean assisting a chalet couple where the management believes they need additional training or help. This is a key seasonal role in the business which enables us to provide continuity of client service in any circumstances. Our season has already started so you must be available to start on ASAP. We also like our staff to complete the full experience of a winter season in the mountains and therefore you need to be able to work up until 30th April 2019. Do you have a passion for the mountains and have great management skills? Apply now for Ski Amis’ Resort Manager Position. You’ll need proven supervisory experience, good people management and team building skills. You’ll also need to have a great personality, have plenty to talk about and a commitment to deliver fantastic customer service to our guests. The Resort Managers will be based in the fabulous Three Valleys area of France. Reporting to the Operations Manager, you will be responsible for all the chalets and staff in your resort. You will be ensuring the service is delivered to guests according to company guidelines in a cost-effective way and be in charge of general day to day management of your individual teams. If hosting isn’t for you but you want to work a season in the mountains with Ski Amis - maintenance is always a good role to choose. You’ll need some great skills at any sort of technical trade – not necessarily to a professional level, but you need to be able to turn your hand to most things and in particular plumbing, electrics and carpentry. You’ll also need to have a great personality, have plenty to talk about and a commitment to deliver fantastic customer service to our guests. 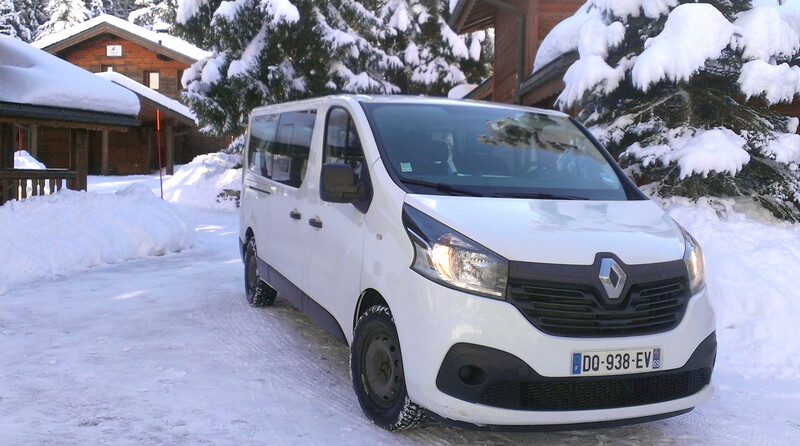 On changeover days, you will be a primary transfer driver as part of the team driving clients to and from our accommodation, airports and railway stations – you must therefore be an exceptionally confident driver, happy to be out and about transporting guests all over the Alps ! If cooking isn’t your thing, but you’re a logical and organised person – then apply for Ski Amis’ Resort Administrator role. Enjoy the Alps and its benefits without cooking for large groups of people, learn some new skills and have multiple responsibilities as part of our resort support team. The Resort Administrator reports to the Resort Administration Manager and you will be part of a small team responsible for the administration tasks in connection with operations in resort and for management of our warehouse. You will be working in Aime, at our resort office/warehouse facility, with accommodation provided in an external shared apartment. See a position you think would suit you? Great, let's get going! We require at least one recent photograph of every applicant. If you are applying as a couple, you may upload one photograph of you both together, or separate photos. Please ensure your photo has been resized to a reasonable size before upload - a maximum of 1mb per file is recommended or your application may not reach us properly. Please note all employees are required to provide us with a new DBS check (carried out no earlier than the date of the employment offer) as part of the employment process. We will provide you with information on where to apply for this. Have you ever been involved in any criminal proceedings or convicted or a criminal offence which is not spent as defined in the Rehabilitation of Offenders Act 1974? If yes, please provide details in the box below. Are you currently living together? How long have you lived together since you have known each other? If so, under which circumstances? How do you think you will divide up the workload? Tell us about the skills and experience you already have which might be helpful in a chalet hosting job. You are cooking for 16 guests one week. In the party, there are two children (who don't like potato), two adults who are vegan and 12 adults on the normal menu but one is allergic to garlic. What issues may arise and how would you overcome them? If you have no experience of skiing or snowboarding, what makes you think this is a job for you? All employees must have held a full EU driving licence for at least two years due to the insurance requirements to drive our vehicles. All staff may be required to act as transfer drivers, or to drive guests or staff in resort - the driving content of the job varies depending on the role you are assigned - for couples at least one person must a confident driver. IMPROTANT NOTE: Professional driving experience may be easier than it seems - you do not have to have been employed specifically as a driver. It will still count if you have driven a works van or demo cars or even a tractor on a farm! As long as your previous employer will complete the standard declaration letter to confirm this and it covers two years work in the previous ten years. Do you possess a full current EU driving licence? How long have you held your driving licence? How many penalty points do you have on your licence? Do you have any pending driving convictions? Have you have had experience in driving as part of a previous job? Do you have any advanced driving qualifications? Have you ever driven a left hand drive vehicle or driven in Mainland Europe on the right hand side of the road? Before selecting your competence level with the following computer applications, please carefully read the following descriptions of each level - do not declare yourself as an expert unless you REALLY are - you don't need to be an expert for this job, but it is useful for us to know where your skills lie. EXPERT - you now the this inside out and can use all of the functions of the software. Perhaps you have been professionally trained and would use it as a daily part of your job. For Excel, this would include using data functions such as data sorting and manipulation (using filters and perhaps pivot tables) as well as being able to build and understand analytical models with complex multi-sheet or multi-workbook formulae (including nested IF statements). For Word, this would include setting up styles and document templates for yourself and using complex formatting in documents with tables and integrated graphics. AVERAGE - you have used the application regularly in a limited way - perhaps at university or during your work. You can cope well with basics but have not used all of the functionality. For Excel, this would mean setting up your own spreadsheets to add up columns of figures, make calculations and organise data but not ones which involve data modelling, complex formulae and multiple workbooks. For Word, this would mean being familiar with using document templates and laying out documents with formatting but not setting up new templates and styles yourself. BASIC - you have used the application occasionally or maybe extensively but have not set up anything more complicated than a basic document or spreadsheet. You know what it does but have not set up anything from scratch. For Word this would mean being able to create a simple document with simple formatting (bold, underline and italic for example). For Excel, this would include keying numbers into someone else's spreadsheet. Please advise of any dates you will NOT be available for interview due to holidays or other commitments. OTHER COMMENTS - please provide any other information you wish to add for our attention here. Thank you for completing your application - you can print a copy of the form if you wish and when you are ready, click the SUBMIT button below. Note - the PRINT button below will print the entire microsite with all the information pages as well as your application. You will also be emailed with a copy of your application as part of the submission process.